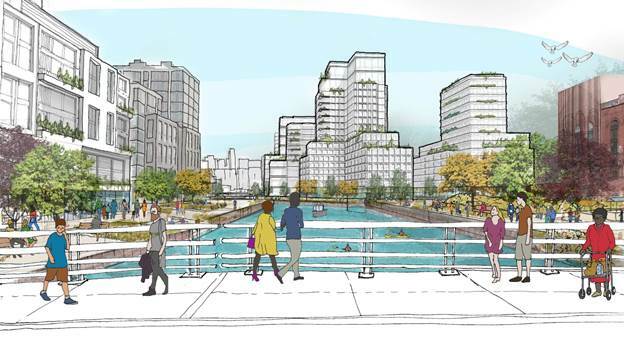 GOWANUS – NYC Department of City Planning (DCP) released the long-awaited Gowanus Draft Zoning Proposal Wednesday morning (January 30). Using the Gowanus Framework—a document created in 2018 following hours of community meetings and workshops—as a “roadmap,” DCP developed the Draft Zoning Proposal to “facilitate a vision for Gowanus’ future that is sustainable, resilient and inclusive, with a mix of uses that support new affordable housing and local economic and job growth,” according to a statement by DCP. Covering an area (see map) bounded by Bond Street and 4th Avenue (west to east) and Baltic Street to Huntington, 3rd, 7th and 15th Streets (north to south), the zoning proposal addresses sustainability and resiliency; community and cultural resources; housing; economic and job development; transportation; waterfront and open space; and building density. Reminder: DCP will host the “Next Steps In Planning For Gowanus” open house next Wednesday, February 6 at 6pm at P.S. 32, 317 Hoyt Street (at Union Street) where the public can question various city agencies about the Gowanus Draft Zoning Proposal. According to DCP, at the open house City agencies will update the community on projects discussed during the community planning process including: infrastructure improvements related to the Gowanus Canal cleanup; workforce development and job training opportunities for NYCHA and other locals; the reopening of the Gowanus Houses Community Center; and revitalization projects. DCP will present the Gowanus Draft Zoning Proposal to Community Board 6 at the next Land Use committee meeting scheduled for Thursday, February 28 at 6pm, CB6 District Manager Mike Racioppo confirms. The location of the meeting has not been determined yet. Among some of the proposal’s key initiatives that the Council Member supports are: ensuring a resilient waterfront, the creation of “thousands of units of much-needed affordable and market-rate housing,” improvements to area NYCHA developments, preserving historic buildings, and infrastructure investments (sewers, transit, schools). 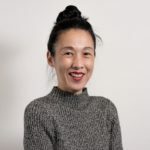 “I know that not everyone is excited about the idea of new residential and commercial development at heights taller than the surrounding brownstone neighborhoods. But I genuinely believe we are on the way to getting the balance right,” Lander added. Looking ahead, DCP will publish a Draft Scope of Work for the Environmental Impact Statement (EIS) and host a public scoping meeting about it this spring. ULURP (Uniform Land Use Review Procedure) will begin after the draft EIS and land use application are completed. The agency will also continue working with business owners and local stakeholders in the IBZ to develop a visioning plan for the industrial business zone. Click here to see the Gowanus Draft Zoning Proposal. I was expecting (or maybe just hoping) for a lot more M zones. Mixed-use districts are essentially residential zoning districts because there is more money to be made redeveloping property for housing. I heard a lot of cynicism from friends during the Bridging Gowanus exercise and it looks like they were right. It looks like Councilman Lander and DCP learned nothing from Williamsburg. Eliminate parking and loading? This is supposed to be good for small biz? How about more $6,000 fines for signage. The City added some 100K registered vehicles last year. Of course, they won’t be welcome in Gowanus. Reducing parking up to 15th Street and 4th Avenue? How about the ‘spillover into CD#7 or CD#2? Have you asked?